Fan building isn't just a science, it's a process. Growing your fanbase is also more than merely a quest for a number of followers on your Twitter or Facebook pages. It's a matter of building solid connections and relationships with real people who support and contribute to your success as a musician. One of the biggest keys I've learned in growing an audience, both for the Appetizer Radio Show that I host and for the musicians I work with, is that the uncommon approach is a lot more potent and powerful than what "everyone else" is doing. 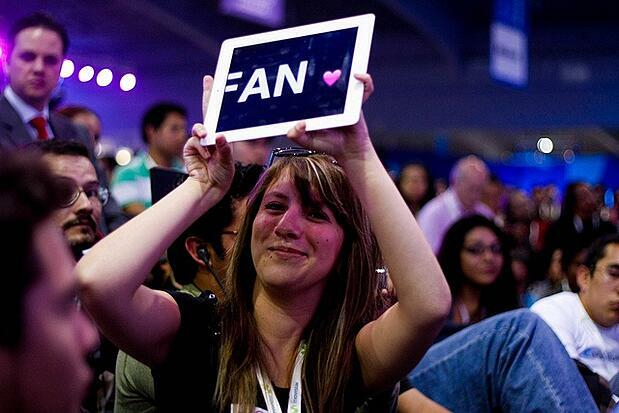 Here are four creative ideas to nurture your fanbase to new levels of growth and success. One of the best things I've seen a DIY musician do to really build a strong fan connection was what Jerzy Jung did in her recent crowdfunding campaign. She set one of her perk gifts (at a medium dollar rate) to include meeting at a coffee shop to talk about life, business, or whatever is on the fan's mind. How about that?! One-to-one interaction is a proven method for gaining favor with people, much better than what any of us can achieve in the online realm of communication, particularly on social media. When you can sit with someone and exchange ideas through conversation, you create more than just a fan bond. You potentially create a new friend. Some of your best supporters consider you a friend through the dynamic power of your music. By having a cup of coffee (or a soda or a beer or an ice cream), you create new channels of communication between you and your fans. You get the chance to interact away from the computer and away from the music. You get to be a real person to them, and get input that you might not otherwise have. You're not limited to doing this in a fundraising capacity, either. The next time you're going to hang at a coffee shop, post something on Facebook or Twitter and invite your local supporters down for a cup of joe. See what cool conversations come out of that. Benji Rogers, founder of PledgeMusic, is a fellow advocate for growing a base of superfans for musicians. He's very outspoken about why fans follow the musicians that they like so fervently. "What you do as a musician is fascinating to those who can't do that [play music]," Rogers says. The whole premise of PledgeMusic as a direct-to-fan platform is to bring the fans into the artistic process. That alone separates the platform from others like Kickstarter or Indiegogo. The big thing to keep in mind here is that the fan engagement element is what makes PledgeMusic so successful. They're really on to something, and it benefits you as a musician to key in on this nugget of gold. In order to raise money on this platform, you bring your supporters into the making-of process, which harvests recording and other music projects while increasing the connection fans have with the music and band. When you're actually a part of the music-making process, the connection you have with the art is exponential. You don't have to do a crowdfunding project to bring your fans into your artistic process, but there are plenty of great ideas on PledgeMusic to glean from. Without trying to raise money, you can send a link to your subscription list that sends them to a video or a demo track that you're working on. You can ask for input, suggestions, or simply give them a VIP treatment of a work in progress. By extending exclusive access to your music process, you create a stronger capacity to nurture superfans than ever before. Birthdays and office parties are easy ways to offer access to your music on a more personal level. Similarly to the coffee shop and behind-the-music ideas, getting your fans in an exclusive setting creates a stronger bonding opportunity than what you can give online or at a venue. This also opens up the opportunity for you to offer a new benefit to being on your email list. If you were to offer your subscribers the chance to have you perform at a private birthday or office party by simply entering a drawing or retweeting a post on Twitter, you encourage the connection and collaboration of your audience. Determine how many of these parties or gatherings you'll do before you start the promotion, and make sure you fulfill everything you promise to do. You can offer to play a specific number of songs, a few covers, and a happy birthday (if that's the purpose of the gig). You can also get requests for specific songs, which nurtures a stronger connection with your existing fans. If the party or gathering is for someone who isn't a fan of yours yet, you have a great new opportunity to convert new fans while also strengthening your existing fanbase. pay attention to the audience while you're performing to spot those who are singing along. These fans not only know your songs (a big plus), but also are greater potential superfans who are likely there just for the music (versus going to a venue to meet friends, grab drinks, etc). Fans who sing along are closer to being (or becoming) superfans because they're actively engaged with you throughout the show. Reward that to nurture a stronger fan connection. You can encourage more of this engagement and create stronger superfan bonding when you bring one of them onstage, similar to what many well-known acts have done. (Of course, this requires that you have enough of a repertoire and a strong enough existing fanbase to successfully pull off.) Remember the music video for Bruce Springsteen's "Dancing in the Dark" that launched Courtney Cox's screen career? She was the fan in the front row who was called up onstage by the Boss to sing along with him. Every fan wants that opportunity, whether you're dancing in the dark or not.